By Sandeep Haripuria , in Entertainment on November 26, 2018 . Ayat Al Kursi, or the Throne Verse, is a very important passage from the Holy Quran, one which Muslims recite morning, evening and when they go to bed. 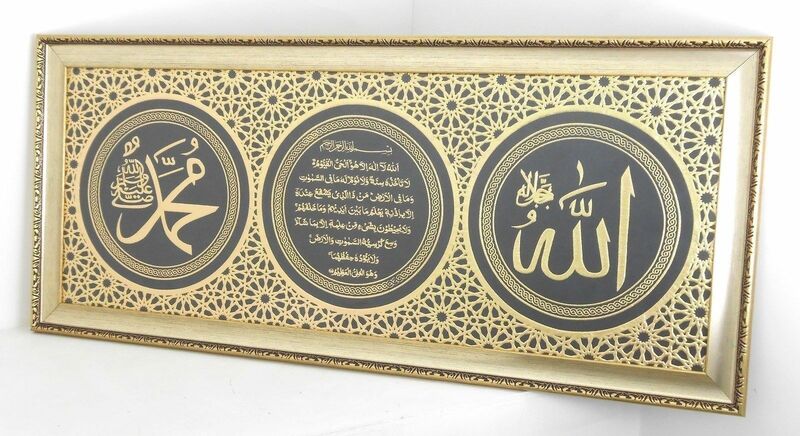 You would find many homes decorated with an Ayat Al Kursi wall frame. Within the realm of Islamic calligraphy, Ayat Al Kursi wall art is much sought after. It is amply evident clear from the hadith mentioned above as to why the Ayat al Kursi is so significant, and why several Muslims not just read and learn it by heart it but also get it framed for their walls or give Ayat Al Kursi wall art as gifts to loved ones..It should not come to you as a surprise if you see anAyat al Kursi wall frame in a Muslim home.